During our entire last month living in Singapore, they didn't really have any promotional items available for me to review. A few days before we left they launched a rather unexciting Ribena 'Chill' now I probably would have passed on it completely, except they released it at the surprisingly (for Singapore) low price of $1.95, about a week later, if you downloaded the coupon off the website, they were buy one, get one free, which for Singapore, you can't really get any cheaper. I ended up picking one up for The Wife and I after lunch one afternoon, and we were both extremely impressed with how it tasted. For those of you which aren't familiar with Ribena (likely Americans, as this is pretty common everywhere else), it's a Blackcurrant flavoured 'juice', which is pretty much as sweet as Coke but does contain a bit of fruit. 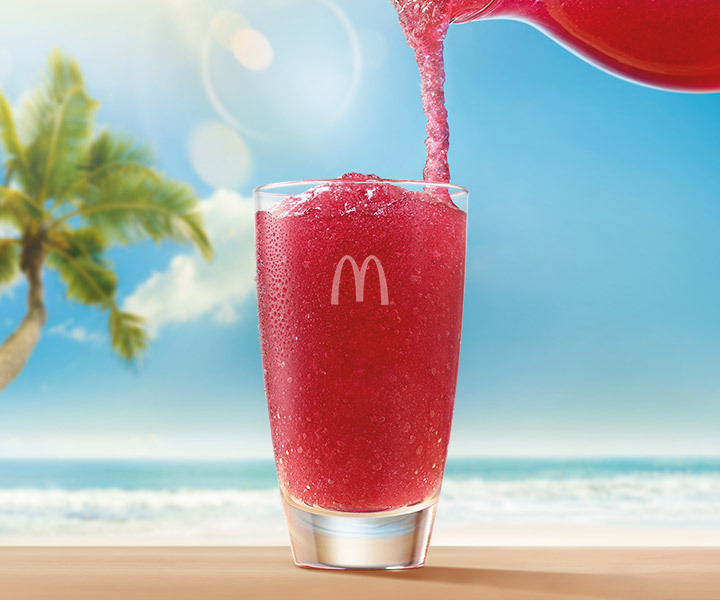 This isn't the first time McDonald's Singapore, has sold anything blackcurrant flavoured, as they had a Blackcurrant McFlurry in 2014. 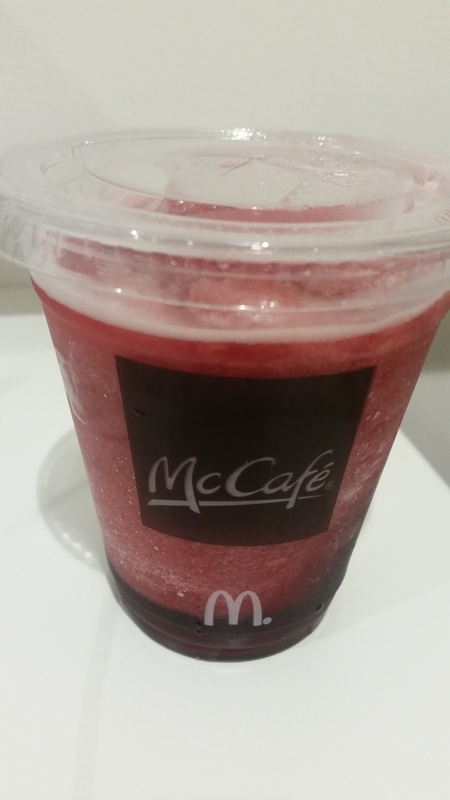 McDonald's Singapore also offers Less Sweet Ribena as a choice for their Happy Meals, and this is exactly what they mixed together the ice to make the "Chill" so it wasn't overly sweet. As I mentioned, these were pretty good, so the wife and I had maybe 3 over the last 2 weeks we were in Singapore (including one at the airport before departure!). 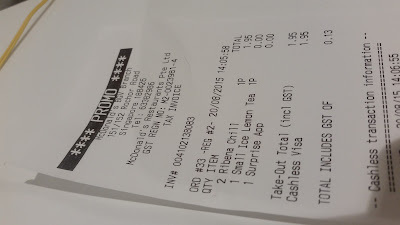 Each time it was made to order, and dispite being only 2 ingredients, which 2 out of 3 times I ordered it ended up taking far too long. The delay was due to that a member of staff had to be called out of service to man the industrial mixer they had for these 'chill' drinks. It looked like a button/handle had to be held to have the mixer operate, and each took about 45 seconds. All it was was a large scoop of ice and Ribena, but they were great in the hot and humid Singapore afternoons and for less than a Singapore dollar each (at the time) it was one of the cheapest drinks you could buy.